Home/Caring for Chickens/Chicken Poo is Good for the Soil, and other Backyard Gardens! I have a strange chicken topic to share with you today. I hope you don't mind. 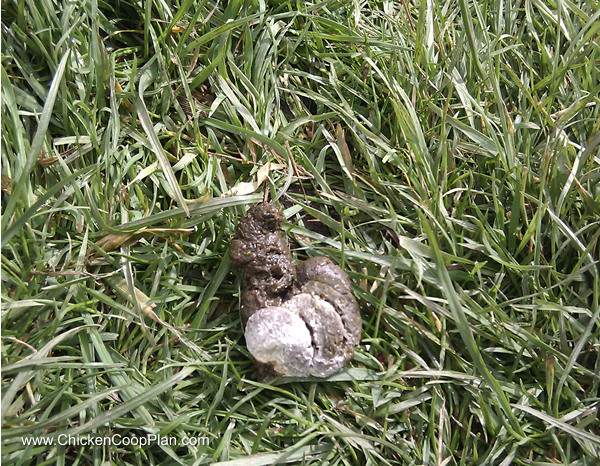 When you think about it, chicken poop is a pretty nasty subject. But some people get all excited when you bring up the topic. Because chicken poo makes an excellent fertilizer for your garden, dirt, and soil. Chicken manure is a great source of nitrogen, phosphate, and potassium - all of which are excellent fertilizer ingredients. Its fertilizer value alone is naturally higher than horses and cows. AND as chicken poo gets dryer, and more crumbly, the fertilizer values go up so that it's higher than goats, turkeys, ducks, and rabbits - per USDA published reports. In general, one hen creates about 40, or so, pounds of manure per year. So, two hens could create enough manure to adequately fertilize a 10 foot by 10 foot garden area. The majority of gardeners, though, will add the manure to their compost piles and bins with other things like weeds, leaves, fruits, grass, and other carbon-based life form ingredients,to make an excellent composting soil. You'll need to add the carbon ingredients, or the manure will overheat. Once the compost is ready, gardeners can just add it to their garden soil during the Spring planting season. So, if you have a small flock of chickens, you should definitely be able to supplement your own garden dirt with fertilizer, OR help your community by donating or selling it to others who might want an excellent soil fertilizer additive. That's completely up to you. It's just another bonus perk for raising your own backyard chicken flock. I hope you enjoyed this quick little chicken coop tip. Hello, I am really interested in this subject because for over 30 yrs. my Dad has raised game roosters and hens. When it became illegal to fight them we still raised them and shipped them to phillipines. We have never had less than 75 chickens at a time on the yard which is a little over 4 acres. How would I go about creating the fertilizer from the land? To make compost using your chicken droppings as a key ingredient you need to collect it regularly and then layer it up with other garden waste such as grass etc. so you have alternate layers for the compost that are ‘hot’ and ‘cold’.